Banners are one of the most cost effective types of signs when wanting to promote sales, grand openings, products, events, birthdays, organizations, and much more! The designers at Signs Express are experts at designing attention grabbing banners or you can send us your own artwork that we can print directly from. We have many standard banner sizes available or we can custom make any size banner for your small or large project. Our banners include grommets around all of the edges,but depending on your installation requirements some other options available are reinforcing the edges with a sewn hem or sewing pole pockets in the edges of the banner. Our full color digitally printed vinyl banners are made from premium 13 ounce heavy duty outdoor vinyl material or mesh banner material for high wind areas. Does Your Banner Need To Be Reinforced? Some things to consider when deciding on how to finish the edges of your banner is how much wind will the banner be exposed to and how long does the banner need to last? Installing your banner between two posts can put an excessive amount of strain on your banner and reinforcing is generally recommended. 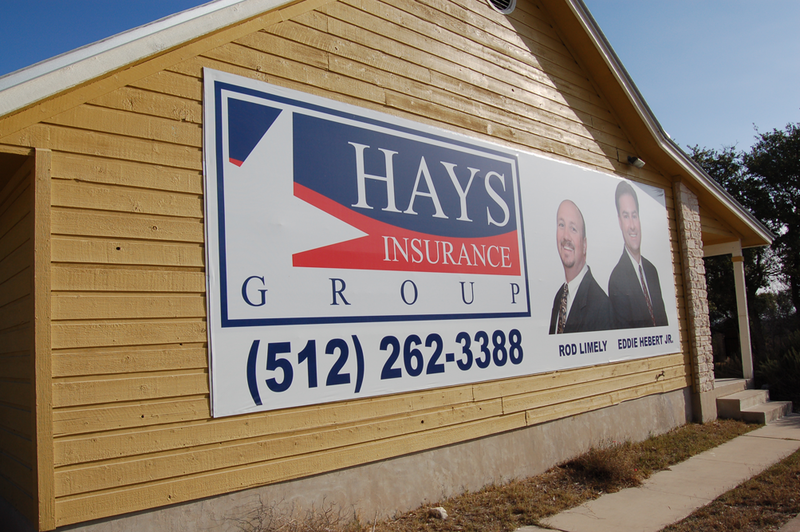 A banner installed on a wall or sheet of plywood usually does not require reinforcing since the banner will have a backer to block the wind. Banners that will be used in a parade or hung from a ceiling might require pole pocket reinforcing.